Drug addiction is a serious problem that most of us have heard about. If you grew up in the American school system, odds are you got a lot of lectures about the dangers of drugs. Yet there are more than 23 million Americans addicted to alcohol and drugs. 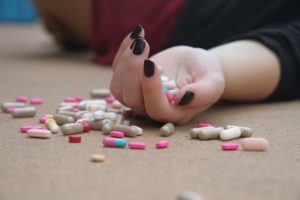 Why is it that with all the information we have about how dangerous they are, people keep using drugs? After all, no one wakes up and says one day with the intention of becoming an addict. Why do people use drugs? Read on if you’d like to learn more. It’s important to understand that there are many reasons as to why people use drugs. Most of the time, there’s a combination of reasons for the behavior. Here are three of the most common we hear. One common reason why people may start using drugs is as a way to self-medicate. If someone has chronic pain or struggles with mental illness, they may look for a way to ease their suffering. In fact, about half of people who have a mental illness will have a substance abuse problem at some point. In some cases, this self-medicating behavior starts out as a doctor-prescribed medication. In years past, doctors would prescribe opiates, highly-addictive medications, for pain management. This practice has fallen out of favor lately because of how many patients wind up addicted to opiates. For many addicts, their genealogy puts them at a disadvantage from the get-go. There are many scientific studies that show that if you have a family history of addiction, you are more likely to be an addict yourself. This predisposition extends across drug choices. Because your grandfather was a heroin addict doesn’t mean you won’t become an alcoholic. So what does this mean for people who do have a family history of addiction? Luckily, it doesn’t mean you have to stay completely away from all potential addictions (although many people do choose that route). Be aware of this vulnerability, and be careful not to let a fun time become a habit and then an addiction. The most consistent reason that people use drugs, though, is because they make them feel good. Let’s take alcohol as an example; getting buzzed can be fun in the same way as staying up too late at a sleepover. People like that feeling, so they pursue it, especially when they’re in need of good vibes. In the case of some drugs, that rush of good feeling is even stronger than with alcohol. The initial high you get is amazing, but the problem comes when you come down off that high. You never get that same feeling again, and you can destroy your life chasing after it. Drug addiction is a problem that our society continues to fight against. No matter whether someone starts taking drugs on a doctor’s orders or because they don’t want to feel left out at a party, their addiction is a disease that requires treatment. If you’re still asking yourself ‘why do people use drugs’ or have a loved one need help battling addiction, reach out to us at Taylor Recovery. We are a pet-friendly luxury sober living community designed help you recover from addiction. Contact us today to schedule a tour or ask any questions you may have. What is a Typical Alcohol Withdrawal Timeline?